The Rustic Rooster Bakery Cafe and Gifts is located in Historic Downtown Cloverdale. We offer local residents and visitors a totally new style of coffeehouse - Bakery Cafe and Gift shop, offering speciality coffees and teas, fresh baking, fresh lunch items and unique shopping finds! 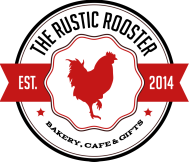 At The Rustic Rooster we offer higher quality products and an exceptional customer experience in a country farm home environment. We feature a locally roasted high quality coffee and the finest teas from a family owned and operated company based in Delta, called Oughtred! Our staff has been highly trained to prepare excellent espresso-based coffee drinks, as well as brewing tasty coffee and speciality tea. We use the highest quality equipment and ingredients to deliver noticeably superior product! 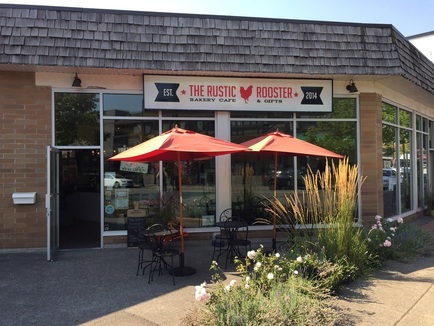 Open since January 24th, 2015, The Rustic Rooster Inc. (Cloverdale) has been a life long dream of Michelle's and after many months of planning and hard work, her dream became a reality! Michelle wants only the best the market has to offer, thats why she took her time and did her research before she chose the brand of coffee that we feature in store. We pride ourselves in only using the finest quality of ingredients in everything we make! The Rustic Rooster Inc. has become a beloved social house for many of the locals and we've even made our mark on passers by!